New Brochure with our New Logo! Hello. 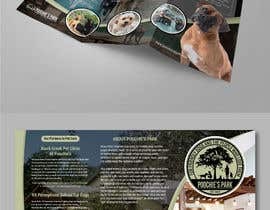 We are looking for a NEW BROCHURE AND PRICE SHEET INSERT design to go with our new/cool business logo! The text contents of the old one will all stay the same except the prices are higher as of this month. Our new website with the new logo is due to go live soon so our current website will be no more - no need to see it and design off of it. I can show you a screenshot of our new website if that helps you tie the brochure design in with the logo style or I'd like to see what you could come up with just the new logo and old brochure. We can tweak it as we go. Good luck and happy designing! Yes, please let us know if there is anything to improve upon! Would love to get your impressions on the work submitted and how to make it more appealing for you\! Thanks for the star ratings. Is there anything we can do to improve our entries? sir, i am making price sheet insert and as you said that now prices are changed, so my question is that will enter the prices by yourself or the price sheet you attached is the latest one? ok well fine as i came to know that you want a brochure with a separate sheet of price detail(please correct me if i am wrong). Please give me your answer as soon as possible. Yes. We need a brochure and a price sheet insert. Yes (Marie M.), this is a tri-fold brochure with a separate price sheet insert that goes inside the brochure. Thank you for the response. You mentioned in the description that you also have a new website. 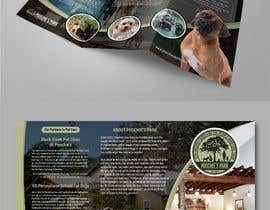 Could you send or upload a copy so we could match the brochure to the new web design? 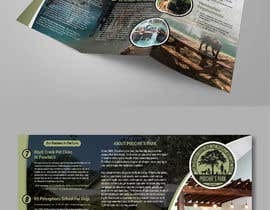 Hello, I have a simple questions, do you want a book style brochure in which your full material like the docx and pdf files you uploaded with the contest is included. And the second one is that the docx file is content for your brochure which we have to use with images you have provided. Hey Joel. 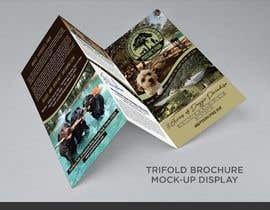 The brochure is a tri-fold brochure and it has a separate price sheet insert. The old brochure and price sheet insert is attached. Just to clarify, is this a tri-fold 8.5 by 11 inch brochure? I just added a new picture of our front sign. Hello artist! I'd like to see a brochure with our circle emblem logo the main focus on the front of the brochure. No stock pictures. Use the pictures from our old brochure. Keep the layout and titles together and think creative! 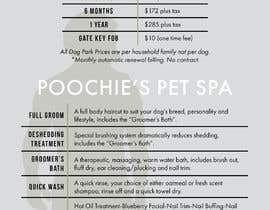 The price sheet insert is a separate insert that has prices on the front and back. I attached the insert that goes with our old brochure. Clarification: The Full Circle version of our logo IS OUR MAIN Logo. The horizontal version was created for t-shirts or for times when we need it laid out that way. So, plz showcase the circle version over the horizontal version. Thanks! The brochure has a price sheet insert. We need both! Could you please upload the PDF file or working file of your old brochure? I was able to upload one of the pdf sides of the OLD brochure, the back file size was too big. 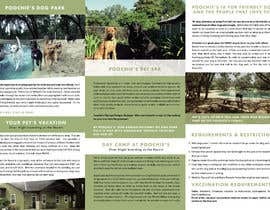 I added the word doc that has the paragraphs and added all the pictures that need to go in the brochure as well. Sorry to reject but This contest is a brochure design and price sheet insert design - not a logo design. Our new logo is attached. There are two versions the circle emblem (the main one) and the horizontal version for specific horizontal needed areas. I will submit my design soon. NOTE! Our last logo was whimsical and the brochure matched it. As you can see our new logo is more natural, park-like, camp-like and modern, please have the brochure match the new logo and not the old whimsical one. thanks. I've added many new documents and pictures for you to use for the new design. Keep all the text paragraphs and pictures the same. Thanks. Have fun with it and can't wait to see what you all come up with!! Hi there, could you please seal the contest to keep designs originals?